The most innovative solutions often come from those closest to the problem, and Jessica and the 2019-2021 group share a particular focus on organizing people directly impacted by the criminal justice, immigration, and other systems that harm communities across California. Jessica’s Leading Edge idea is a comprehensive strategy for the decriminalization of women, girls, and TGNC people of color in California. The strategy combines research from across the state, base building and an investment in the leadership of those most impacted. 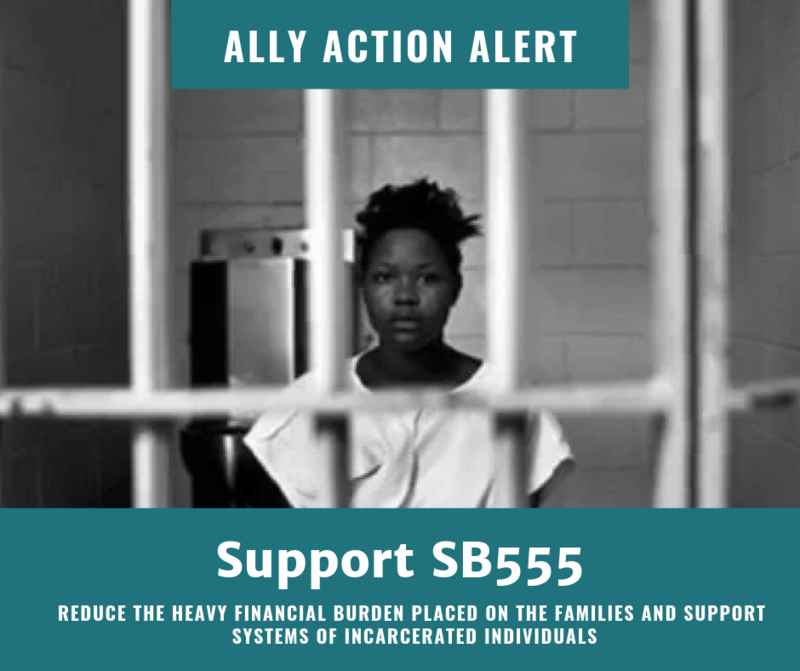 We are shifting the narrative by developing a statewide policy agenda, impacting litigation and piloting site-based models for systems transformation. Through the leadership of the Sister Warriors Freedom Coalition, with our Bill of Rights as our North Star, we can emerge something new – a California where all people have opportunities, access, and support to reach their full potential and thrive. 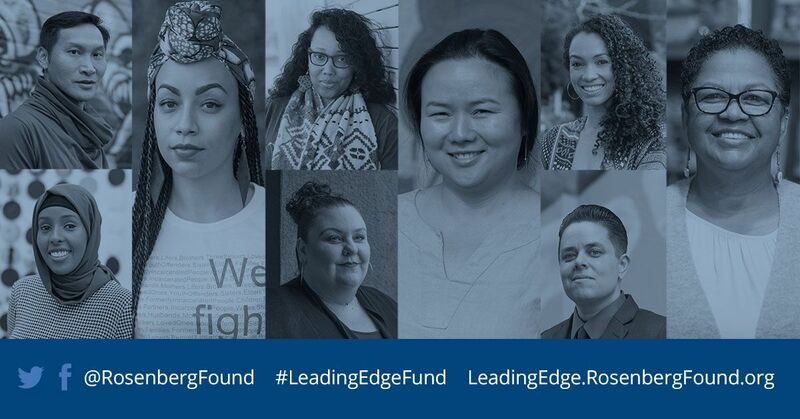 Launched in 2016 by the Rosenberg Foundation in partnership with the Hellman Foundation, the Leading Edge Fund was created to seed, incubate and accelerate bold ideas from the next generation of progressive movement leaders in California. Each fellow receives $250,000 in unrestricted, general support over three years; individualized technical assistance in program development, fundraising and strategic communications; executive coaching; and annual convenings and networking opportunities. The fund is supported by NoVo Foundation, Akonadi Foundation, The California Wellness Foundation and Heising-Simons Foundation. 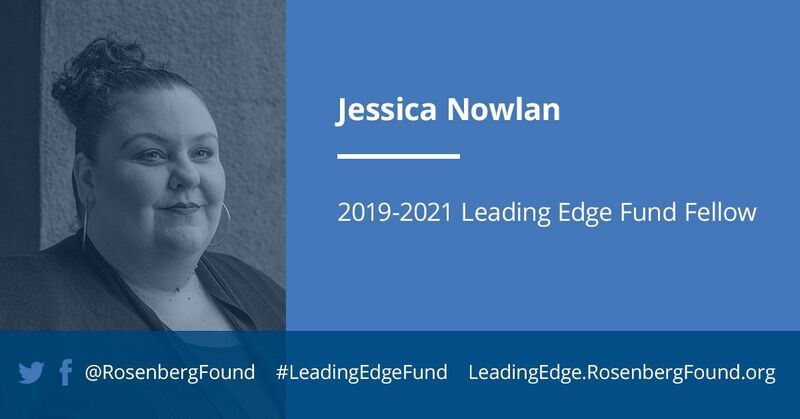 Vonya Quarles, Starting Over Inc.
To learn more about Jessica and her idea as well as the rest of the 2019-2021 Leading Edge Fund fellows and the range of the ideas represented by the group, visit LeadingEdge.Rosenbergfound.org. I am an Indigenous mama who was raised in San Francisco and lives in Oakland with her tribe of 6 children. I believe in the power of women and girls and believe that we have everything we need to be the best versions of ourselves- sometimes we just need others to encourage us to bring it out. At 16, the Center helped me find purpose and power. 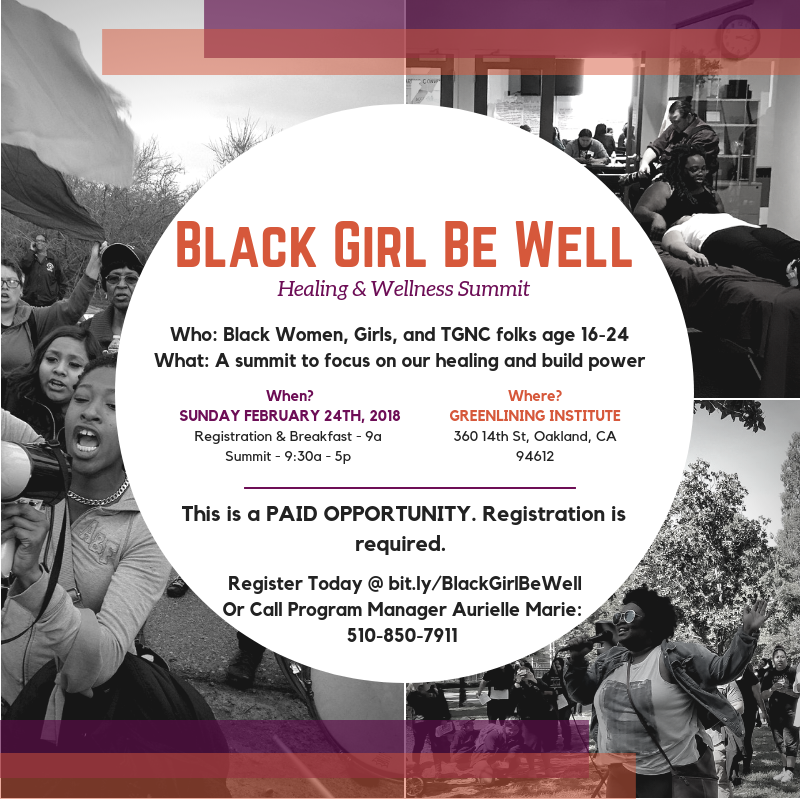 I have spent the last 25 years working to help other girls and women do the same. Sometimes I did this as a middle school teacher, other times as a program manager for a national network of grassroots organizations working to free our young people from the juvenile justice system. Now I am making sure that women and girls across CA who have experienced the system use their collective power to demand and win dignity and respect. In addition to justice, I love spending time with my family, watching documentaries, and learning about the Bay Area history.